Some people may not consider virtual reality gaming to be that big of a deal. For others, they pretty much understand why it is the future, and waste no time in joining the bandwagon. VR in itself is pretty new. Even the term VR gaming doesn’t have too much history for us to look at. The earliest the term was used was the beginning of the 20th century. But back then, they weren’t talking about it in the same way we are now. What virtual reality means in the present day, is an immersive and sensory-filled 3D environment which is created using technical equipment. It is a terrific way for people to interact with others while not even having to leave their homes. And is done using technical interfaces like your headsets, data suits, gloves, etc. This means that the environment you are in could look and even feel as good as the real world. But, it can also be used to create a reality which you have never experienced before in your life. This is what virtual reality gaming is all about. 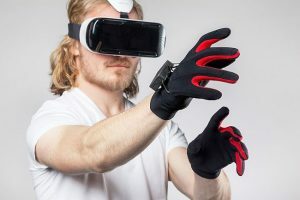 But, for the complete VR gaming experience, physical interaction is required as well. When gamers are interacting with the various devices mentioned above, the experience is complete. This is the ultimate gaming experience. To get through sessions, players have to interact with the virtual world they are in. You may have to fight battle-bots, escape a dinosaur or simply play tennis. The possibilities are endless when it comes to virtual gaming. If you still aren’t convinced of just how good virtual gaming is, then perhaps you should give it a shot. It will convert you into a believer in no time. There is no better way of experiencing gaming than this. It is the future, and the future is right now! Copyright © 2019 lifeinthere.com. All Rights Reserved.